A free public music concert, entitled “Three Colors Concert” will be held at UNIST, as part of UNIST Culture Program in May. 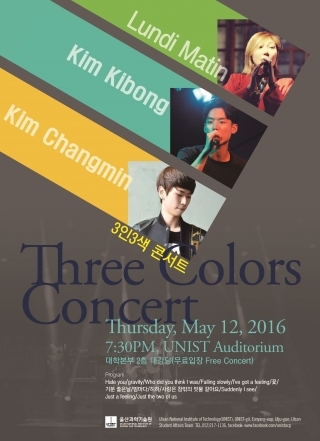 The concert will take place in UNIST Auditorium on Thursday, May 12th, 2016. Please join us for a healing and restorative evening music concert, featuring the work of three artists.